Apple has released its annual holiday ad titled ‘Share Your Gifts.’ The video tells the story of Sophia, a creative young woman who uses a MacBook to write but puts her finished work in a box where no one can see it. Set to ‘come out and play’ by Billie Eilish, the story follows Sophia over time as she continues to write and pursue other creative avenues always hiding them from others. In the heart-warming conclusion of the video, Sophia’s dog pushes her window open causing the pages of her printed writing to blow out the window into the streets. Sophia races outside after the sheets of paper, but can’t retrieve them before townspeople pick them up and start reading with smiles on their faces as they enjoy her writing. The video was released with an accompanying ‘making of’ video that shows how much went into the piece, which combines hand-built miniature sets and CG graphics. It’s a fascinating look at how much care and work went into making the nearly three-minute video. I’ve always enjoyed Apple’s holiday ads and this year’s is no exception. The message of sharing your creativity as a way of connecting with others is a great message for the holiday season that also fits well with the company’s products. Jonathan Morrison has an excellent walkthrough of what it’s like to edit an entire 4K video on an iPad Pro. 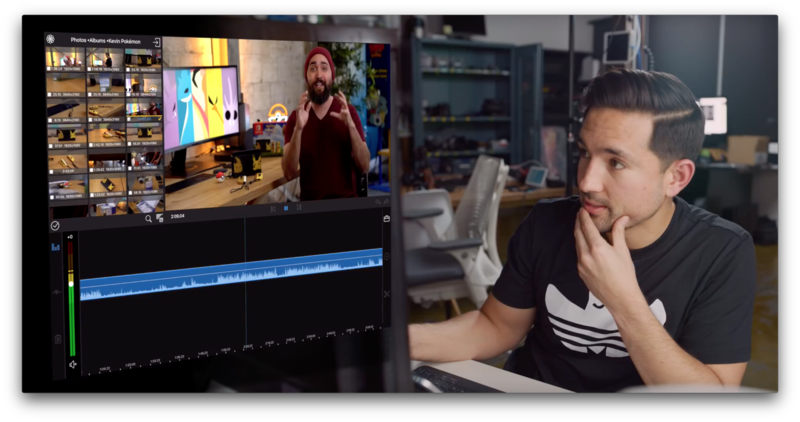 In the video, Morrison adjusts the audio, color corrects footage, and assembles everything from multiple clips using LumaFusion running on a 12.9-inch iPad Pro. Morrison came away impressed with LumaFusion and the iPad Pro’s performance as a video editing workstation. Among other things, previewing and scrubbing through footage was smooth and responsive, and the iPad Pro exported the final video in close to real-time. That’s a refreshing perspective from someone coming from video editing on the Mac. It’s also a point we touch upon on this week’s episode of AppStories. Trying to map workflows directly from the Mac to iOS is a recipe for disappointment because the platforms work differently. The differences often require adjustments be made, but they can pay dividends as Morrison demonstrates. Instagram announced a video service today that is available as a standalone app called IGTV. The new service will be available soon from a button in the top right-hand corner of the Instagram app’s main screen too. 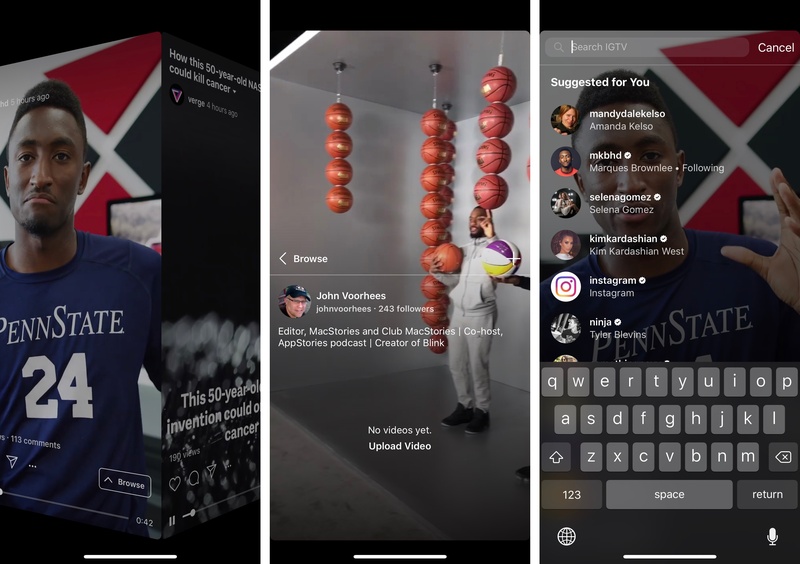 IGTV features vertical video that is longer than is available in Instagram’s Stories feature. Currently, channels created by new accounts and ones with fewer followers are limited to uploading videos that are 15 seconds to 10 minutes long, but TechCrunch reports that eventually all accounts will be able to upload videos up to one hour long. When you first open the app, it opens to a ‘For You’ section of videos from people you follow on Instagram along with a selection of popular content. The currently-selected video dominates the top two-thirds of the screen. The bottom third of the screen is a horizontally-scrolling, tabbed thumbnail interface for picking other videos. The included tabs are ‘For You,’ ‘Following,’ ‘Popular,’ and ‘Continue Watching,’ which are self-explanatory. 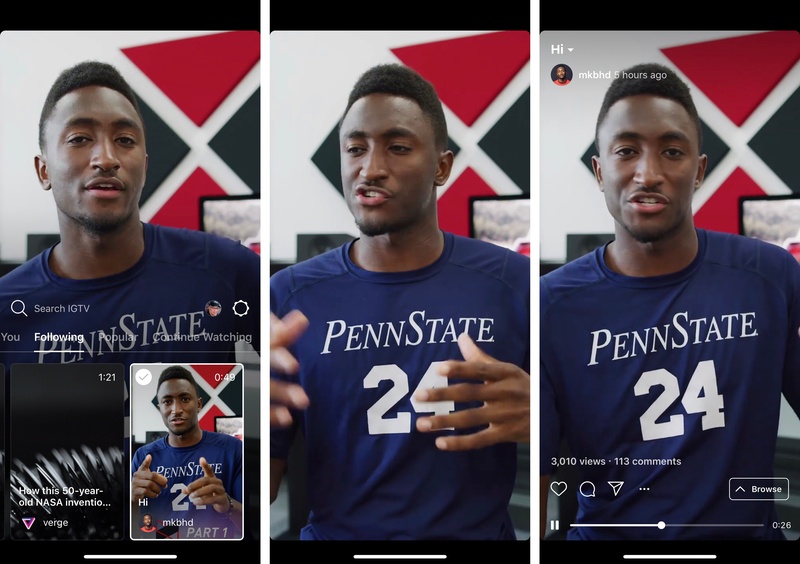 You can also swipe between videos in a tab the same way you would in Instagram Stories. Swiping down dismisses the thumbnails and other UI, so the video dominates the screen. A tap on the video reveals play/pause controls, a scrubber to advance or rewind the video, and buttons to mark videos as favorites, comment, share it with other Instagram contacts, copy a link to the video, report it, or hide it. Tapping the title of the video displays its description, which can include URLs that open in Safari View Controller. TechCrunch says users will be able to subscribe to channels, though that doesn’t seem to be implemented in this initial release. “There’s no ads in IGTV today,” says Systrom, but he says it’s “obviously a very reasonable place [for ads] to end up.” He explained that since creators are investing a lot of time into IGTV videos, he wants to make that sustainable by offering them a way to monetize in the future. Overall, I like what I’ve seen in the short time I’ve been using IGTV. Only a couple of the accounts I follow have posted videos so far, but I expect that will change as creators experiment with this new outlet. One big disappointment from a design standpoint though, is that the app does not support full-screen iPhone X video. IGTV is available on the App Store as a free download. The project joins more than a dozen others that have been signed by Apple for video content in the past year or so. There is no word yet on when the programming might be released, but CNN Money reports that Oprah is expected to have an onscreen role as a host and interviewer. Competition among Apple, Netflix, and Amazon for original video content continues to heat up. 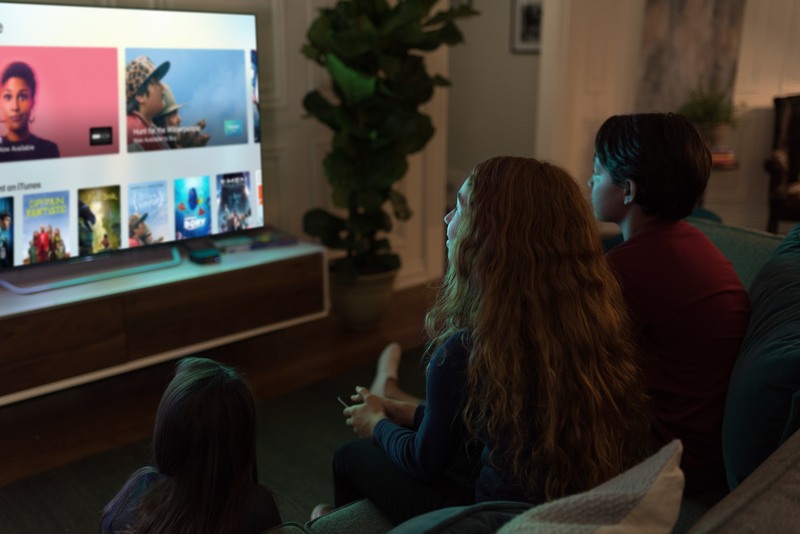 Against the backdrop of consolidation among traditional media companies and telecommunications companies like the recently-closed AT&T/Time Warner merger, the stage seems set for major shifts in the video entertainment industry. 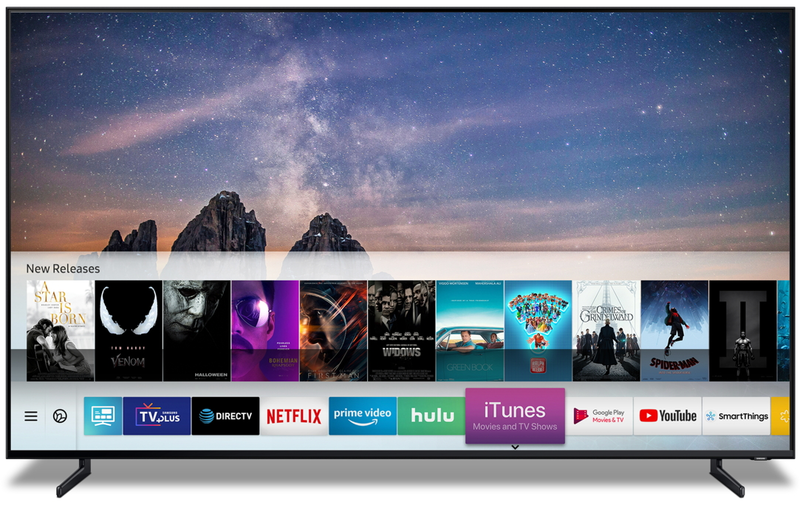 The two executives moved quickly to build Apple Worldwide Video from the ground up, expanding its staff to roughly 40 people and opening divisions for adult dramas, children’s shows and Latin American and European programming. In putting together its slate of 12 projects (and counting), Mr. Van Amburg and Mr. Erlicht made deals with big names including Reese Witherspoon (for three shows), Steven Spielberg, Damien Chazelle, M. Night Shyamalan, Jennifer Aniston, Octavia Spencer and Kristen Wiig. 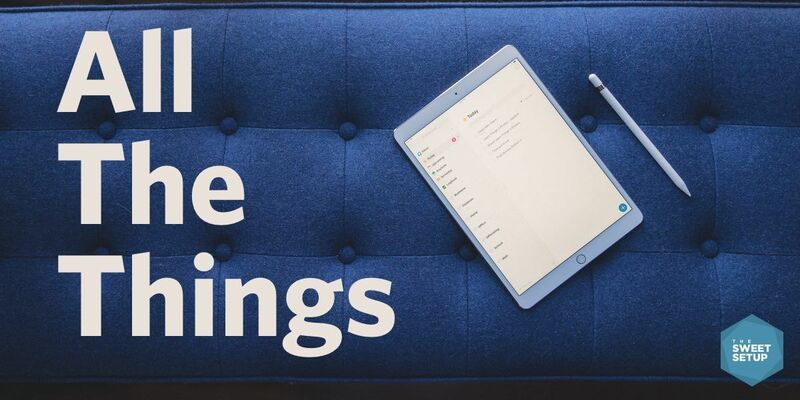 As reports have trickled in about new shows that Apple has signed, it’s become clear that the company has plans to launch a full slate of original programming. Although it remains unclear how Apple intends to roll the shows out to consumers, the New York Times' report provides an interesting peek at where the project stands today and when it might launch.